The rate of cases keeps rising despite efforts to make toys, batteries and magnets safer for children. From earrings to Christmas ornaments, children are swallowing objects at a rate that’s been rising over the last two decades, with battery ingestions increasing “rather dramatically,” new research has found. Coins were the objects most frequently swallowed, and kids who ingested them were most often hospitalized, according to the study published Friday in Pediatrics. Incidents involving batteries were a small fraction of all the cases, but represented a 150-fold increase over the study period, likely because of the popularity of button batteries. They can do serious damage when ingested; so can swallowed magnets. Researchers at Nationwide Children’s Hospital in Columbus, Ohio, analyzed data from the National Electronic Injury Surveillance System. They looked for children younger than 6 years old who were treated in emergency rooms from 1995 to 2015 because of “foreign-body ingestions” — a medical term for kids swallowing stuff. More than 759,000 kids were taken to the ER for this reason. “There are an average of 99 children coming to the doors of emergency departments for foreign-body ingestion every single day,” said study author, pediatrician Dr. Danielle Orsagh-Yentis at Nationwide Children's Hospital. Overall, the rate of cases rose by 4.4% every year during the study period despite efforts to make toys, batteries and magnets safer for children. Coins — responsible for 61% of cases: About two-thirds of these cases involved pennies, with quarters the second-most common coin swallowed. Toys — 10% of cases: Marbles were the most frequently ingested toys. Batteries — Less than 7% of all the cases in the study involved batteries, but they were the second most common swallowed object after coins among kids who had to be hospitalized. Coin-shaped button batteries, which are increasingly being used in electronic devices, were the biggest culprits, ingested in more than 85% of swallowed battery cases. Button batteries can cause serious tissue burns and even death if they become lodged in the throat. 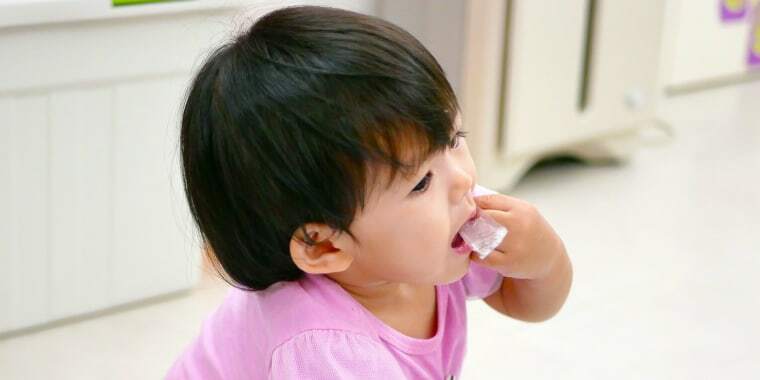 The number of children who were hurt or died after swallowing these products more than quadrupled between 2006 and 2010, compared to the five years prior, according to the Button Battery Task Force set up by the American Academy of Pediatrics. They're found in watches, hearing aids, remotes and small toys. Magnets — 2% of cases: When more than one is swallowed, the magnets can attract to each other across the walls of the intestine with such force that it can lead to tearing and death. The authors weren’t sure why the rate of kids swallowing stuff is going up. They speculated some of the objects, like button batteries, are simply being used in more devices and found in more homes. They urged more research and continued efforts to prevent such incidents, especially at home where they usually happen. Remember, young children will swallow anything they can reach. They’re curious, love to explore and put things in their mouths, so watch them carefully. Look at your home from your child's eye level to identify items that should be moved out of sight and reach. Always keep button batteries out of reach of children. They’re shiny, small and particularly tempting to kids who may think they’re a toy. Call the National Battery Ingestion Hotline at 800-498-8666 with any questions. Take the child directly to the emergency room if he or she has symptoms such as wheezing, drooling, belly or chest pain, coughing, gagging or choking. Refusing to eat can be another symptom. Children who have ingested magnets may experience abdominal pain, vomiting and fever.